The three pairs of ribs 8, 9 and 10 are referred to as false ribs. They are just like the true ribs that are connected to the spine at the back. The main difference in true ribs and false ribs is that the false ribs attach at the front. 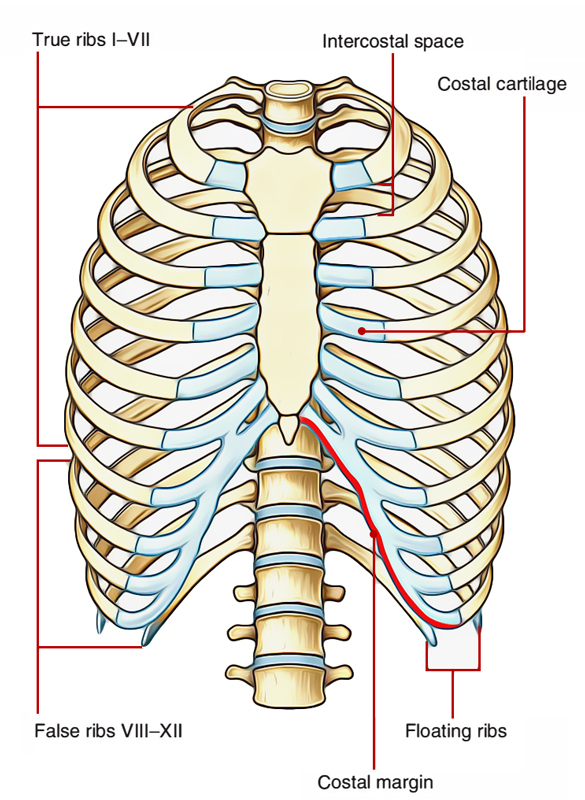 Rather than attaching to the sternum, false ribs which are comparatively shorter than true ribs in fact attach towards the lowest true ribs. The last two pairs of ribs 11 and 12 are the smallest of all of the rib bones, and are called “floating ribs.” They get the named so because they are connected to the spine at the back, however, not attached to anything at the front.